The biggest game of the college basketball season is set for Monday night. The NCAA Men’s basketball champion will be crowned when the night is over with and it will either be the Villanova Wildcats or the Michigan Wolverines. Before you get ready to watch and wager on the biggest game of the year, it is always a good idea to take a look at the NCAA Tournament 2018 odds. After looking at the odds, the bettor can also look at the basketball betting trends before making their predictions and pick against the spread for the NCAA Championship game. 2018 NCAA Championship Sportsbook Special: Bet on Michigan vs Villanova now with a special bonus, that you can only get when you click here! The smart basketball bettor will want to see what the odds on the championship game the second that they open. 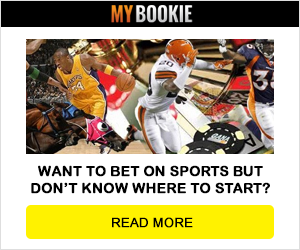 This gives the bettor a chance to get the best number and bet it accordingly before it moves due to betting by the public and the professionals. The odds opened up with the Wildcats favored by (-6.5) points. The money line in this game opened with Villanova (-320) and the over/under betting total opened up at 145.5. However, it would be smart to look at the latest line, because they have all moved. With as hot as Villanova is, it comes as no surprise that they are the team that the public is betting on. Because of this, the NCAA Tournament 2018 odds are not the same as when they opened. The sports betting consensus shows that over 60 percent of the wagers coming in on this game are on Villanova. Because of that influx of cash on the favorite, the point spread can now be found at (-7) at the most reputable sports betting outlets. Before betting on this game, the smart sports bettor will want to watch this line and see how it moves. Usually in a big televised game such as this one, the public will bet more than usual leading up to tip-off, which could provide some big value on Michigan, but are they the right side? Check out our predictions and pick against the spread for Michigan vs Villanova.